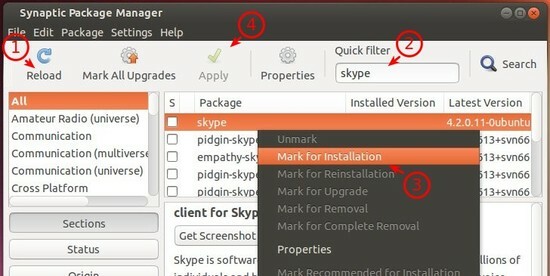 This quick tip is going to show beginners how to install Skype in Ubuntu 13.10 Saucy Salamander. Ubuntu 13.10 final will be release on October 17th. Now it’s in beta 2. 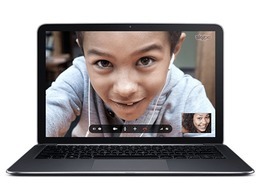 If you’re going to install Skype on Ubuntu Desktop, this tutorial may help. 1.) Skype is available in Canonical Partners repository, so first we’re going to enable this repository. Search and open Software & Updates from Unity Dash. When it opens, navigate to Other Software tab. Check on the first two lines. Did you try the command way to install them? I experienced the sound bug, skype was working fine then it all crapped out. I uninstalled and ran the terminal code – working again but if it happens again I will try the fix! Selecting previously unselected package skype. Selecting previously unselected package skype-bin. Package libasound2:i386 is not installed. Package libqt4-dbus:i386 is not installed. Package libqt4-network:i386 is not installed. Package libqt4-xml:i386 is not installed. Package libqtcore4:i386 is not installed. Package libqtgui4:i386 is not installed. Package libstdc++6:i386 is not installed. Package libx11-6:i386 is not installed. Package libxext6:i386 is not installed. Package skype-bin is not configured yet. 0 upgraded, 53 newly installed, 2 to remove and 0 not upgraded. Need to get 0 B/17.9 MB of archives. After this operation, 22.4 MB of additional disk space will be used. Selecting previously unselected package libexpat1:i386. Selecting previously unselected package libffi6:i386. Selecting previously unselected package libgpg-error0:i386. Selecting previously unselected package libgcrypt11:i386. Selecting previously unselected package libp11-kit0:i386. Selecting previously unselected package libtasn1-3:i386. Selecting previously unselected package libgnutls26:i386. Selecting previously unselected package libssl1.0.0:i386. Selecting previously unselected package libstdc++6:i386. Selecting previously unselected package libglib2.0-0:i386. Selecting previously unselected package libkrb5support0:i386. Selecting previously unselected package libk5crypto3:i386. Selecting previously unselected package libkeyutils1:i386. Selecting previously unselected package libkrb5-3:i386. Selecting previously unselected package libgssapi-krb5-2:i386. Selecting previously unselected package libxau6:i386. Selecting previously unselected package libxdmcp6:i386. Selecting previously unselected package libxcb1:i386. Selecting previously unselected package libx11-6:i386. Selecting previously unselected package libxext6:i386. Selecting previously unselected package libasound2:i386. Selecting previously unselected package libice6:i386. Selecting previously unselected package libsm6:i386. Selecting previously unselected package libxt6:i386. Selecting previously unselected package libaudio2:i386. Selecting previously unselected package libavahi-common-data:i386. Selecting previously unselected package libavahi-common3:i386. Selecting previously unselected package libavahi-client3:i386. Selecting previously unselected package libcups2:i386. Selecting previously unselected package libfreetype6:i386. Selecting previously unselected package libfontconfig1:i386. Selecting previously unselected package libjpeg-turbo8:i386. Selecting previously unselected package liblcms1:i386. Selecting previously unselected package libjpeg8:i386. Selecting previously unselected package libmng1:i386. Selecting previously unselected package libmysqlclient18:i386. Selecting previously unselected package libqtcore4:i386. Selecting previously unselected package libqt4-xml:i386. Selecting previously unselected package libqt4-dbus:i386. Selecting previously unselected package libqt4-network:i386. Selecting previously unselected package libqt4-script:i386. Selecting previously unselected package libqt4-sql:i386. Selecting previously unselected package libqt4-xmlpatterns:i386. Selecting previously unselected package libjbig0:i386. Selecting previously unselected package libtiff5:i386. Selecting previously unselected package libxi6:i386. Selecting previously unselected package libxrender1:i386. Selecting previously unselected package libqtgui4:i386. Selecting previously unselected package libqt4-declarative:i386. Selecting previously unselected package libqt4-sql-mysql:i386. Selecting previously unselected package libxss1:i386. Selecting previously unselected package libxv1:i386. skype-bin depends on libqtwebkit4 (>= 2.2~2011week36). After this operation, 39.4 MB disk space will be freed. @Vince Roan, the previous comment of mine was in rely to @Pablo and he seemed to have 32 bit Ubuntu. In your comment, “uname -a” has told you’re on 64 bit (x86_64) system. So please try the 64-bit debs (you was going to install 32-bit/i386 packages). Before doing that, run sudo apt-get -f to fix any dependencies problem.